Watch a video created by tribal member Emily Washines on the Xapnish property and how traditional plants were restored through the Wetlands and Riparian Restoration Project. Click link below. Also take a look at what the National Resources Conservation Service had to share about the Project in their Conservation Showcase Newsletter. This project has been designed to restore floodplain habitats along anadromous fish-bearing streams in the agricultural portion of the Yakama Nation Reservation. The Yakima Subbasin Assessment identified the loss of floodplain function in these watersheds as a critical factor limiting the production and survival of salmonids and wildlife populations. 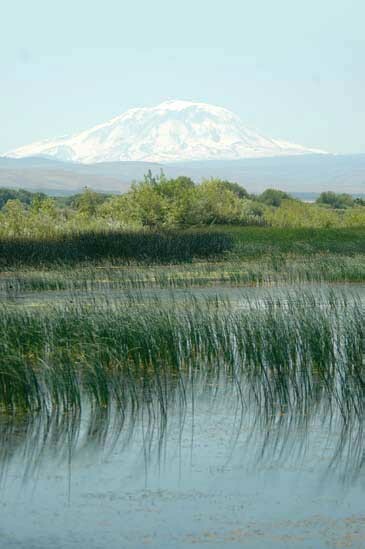 The protection and restoration of the floodplain habitats in these watersheds has been identified as high priority in the Fish and Wildlife Management Plan portions of the Yakima Subbasin Plan. Overall objectives include the protection, restoration and management of 27,000acres of floodplain lands along the Yakima River, Satus and Toppenish Creeks. Methods used include securing large contiguous lands, along with their associated water rights. Restoration of these lands emphasizes the return of normative hydrologic processes and ecological functions. Management and monitoring activities ensure that the restored conditions persist into the future. 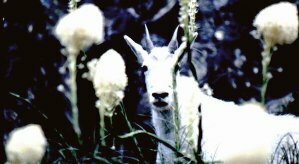 The Bonneville Power Administration funds the land securing, restoration planning, and management/monitoring aspects of this comprehensive effort. Large-scale restoration activities on the secured properties are funded through extensive partnerships. Approximantely 1,000 � 3,000 acres are secured each year. Since 1994 over 21,000 acres have been secured into the project, including all of the irrigation water rights on Satus Creek. At the current rate of implementation, 27,000 acres of floodplain habitats should be protected and restored by the end of 2012. Land disturbing activities are subject to cultural and archaeological surveys, and are used only on properties that have suffered past disturbances. Native vegetation re-establishment and a return to some semblance of historic floodplain hydrology are the goals on the restoration sites. Restoration efforts are designed to be as self-sustaining as possible to minimize the O&M needed. Specific vegetation, population and hydrologic conditions are monitored at each property to ensure that restoration goals are being met in a cost-effective manner.